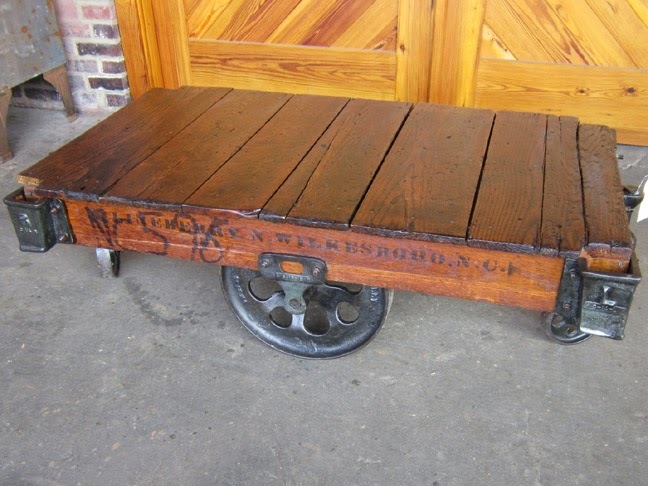 Another spectacular cart from the factories of North Carolina. This cart's original oak top was finished with a medium-dark polyeurethane, highlighting the grain, and making the authentic, completely original stencil stand out. The bonus NC598 stencil makes this cart very unique. Visit http://www.shop.oldcoldstorage.com/Lineberry-NC598-NC598.htm to see more photos and details.